The Department of Tourism Region IV-A expects at least 15 to 20 percent increase in tourist arrivals to Calabarzon by the end of the year. In an interview, Rebecca Villanueva-Labit, director for DOT Region 4-A said tourist arrival in 2016 reached at least 26 million for same day visitors and about 5.1 million for overnight staying visitors. Of this figure, overnight staying visitors accounted 4.83 million for domestic and 257,147 for foreign. Meanwhile, same day arrivals shared figures of 25.57 million for domestic and 466,255 for foreign. For 2017, Labit said DOT targets a 15 to 20 percent increase on the 26 million visitors to the region. 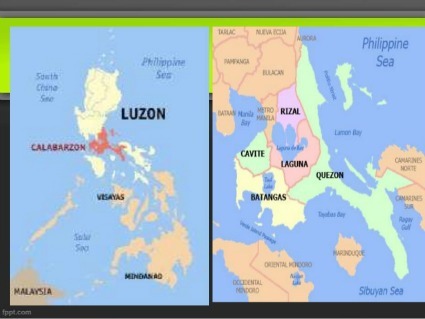 She bared that DOT Region IV-A already held several activities to reach the target, including the Tourism Plan Formulation of Real, Infanta and Gen. Nakar and Polillo Group of Islands in Quezon, Province; the agency participation to Local Travel Fairs (Phil. Travel Mart and Travel Tour Expo., Diving and Resort Travel Show, etc); the promotion of Taiwan Golf Market; and the holding of Tourism Industry Skills Program. Among others, the regional office also held a Farm Tourism Consultative Meeting and provided support to the Harvest Festivals in Quezon Province such as Pahiyas, Araña’t Baluarte and Agawan Festival. For the remaining months of 2017, DOT Region IV-A will sponsor the 5th Anilao Underwater Photo Competition, the Calabarzon Tourism Appreciation and Award, and the launching of Bring Home A Friend regional version. Labit said DOT wants Calabarzon to be recognized as an excellent alternative destination for travelers who are on a budget. "We want to tell the people that if you are on a budget and you want to see a sea of cloud and Mt. Pulag is quite expensive for you, Calabarzon is just here, the best alternative for a lot of things," she stressed. "We have everything, we have beach, mountain, cuisine, heritage, arts, and culture." "There are three routes but there will be more," she said. "Very soon, we will be having a meeting, probably (sign agreement) early next year." Gabriel noted that motorcycle tourism is a "growing industry" which aims to promote a sustainable way of traveling the whole country. "By doing this, since we travel nationwide, we are able to showcase the culture and heritage of a certain landmark we visit," he added. "Region 4-A, particularly Ms. Labit wants to execute a good motorcycle tourism campaign here. Gagawa na kami ng ride to show na hindi lang kami puro kain, this time ipapakita namin iba't ibang lugar with all the riders."